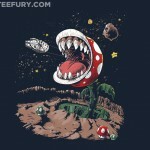 In case you have never really thought about it before (I know I hadn’t before seeing this shirt), Pac-Man is a Ghostbuster. Of course he doesn’t use all of the fancy equipment that the real Ghostbusters use and he doesn’t have to worry about crossing the streams, but in this awesome t-shirt he does! 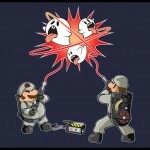 The nerdy folks over at BustedTees are selling this really cool Ghostbuster Pac-Man t-shirt called Ghost Catcher for just $20 (available for both men and women)! 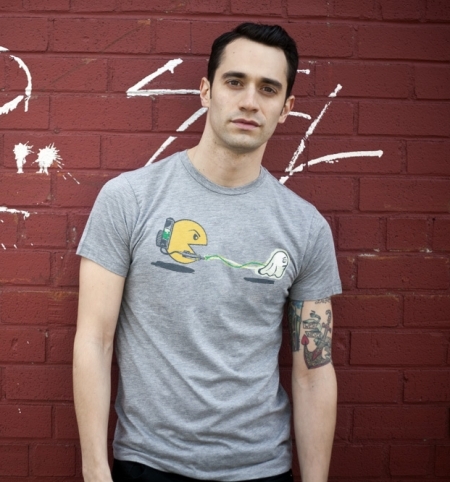 If there is a better way to show show off your love for both Pac-man and the Ghostbusters franchise than to wear this shirt, I want to see it because I don’t think it exists! 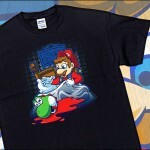 I think this might just be one of the coolest mash-up shirts of all time! The only thing that would make you cooler while wearing this would be to wear a speaker on your hip at the same time playing the Ghostbusters theme song. Actually, I think I might do just that because it sounds so awesome! When there is something strange in your neighborhood, who you gonna call? Pac-man! 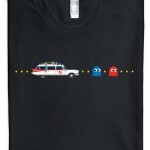 Share this with any Pac-Man fans and Ghostbusters lovers you know! 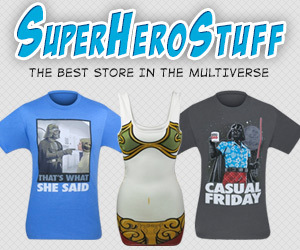 Like us o Facebook too!